Mavericks Notes not compatible with IOS 10 Notes? 2010 MacBook Pro on Mavericks, Notes are not syncing with Notes on iPhone 5s on ios10. Is there a compatibility problem? I have tried all the usual remedies without success. Yes, there's a compatibility problem. Notes were upgraded in iOS 9 and OS X El Capitan, and you can't sync between OS versions from before and after the upgrade. You'll need to upgrade your Mac to El Capitan or Sierra (which you should do anyway, since Mavericks will soon stop getting security fixes, if it hasn't already). Following @Mike Scott suggestion of using a web browser to manage the Notes in your iCloud account, I would recommend using Fluid to create a fake Notes App. This is how I am doing right now in my very old MacBook while I wait for the arrangement of my Mac. In fact, I really enjoyed this method so much that I also created a Fluid App for the Reminders. Download here the last version of Fluid compatible with Mavericks. Install as usual and launch the application. In the Name Field introduce, for example, "Notes (Fluid)". 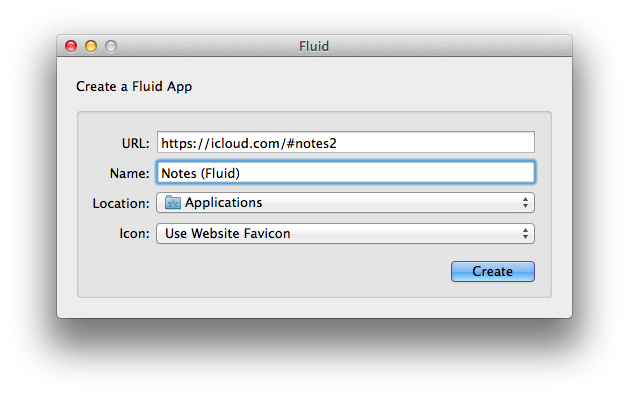 Start the app "Notes (Fluid)" and open its Preferences. Under "General" change the App icon: browse for some image, or better, just select the built-in Notes App. 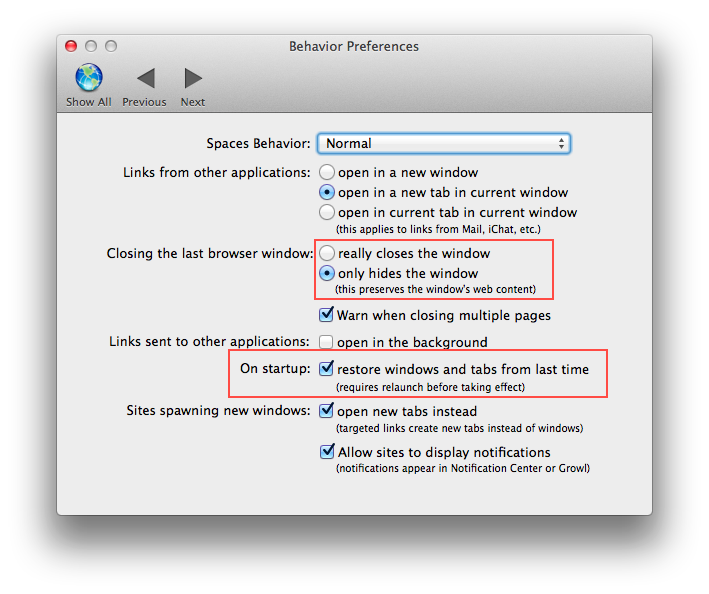 Under "Behavior" ensure "only hides the windows" is selected. You can use this Fluid App like a browser; thus you can create new tabs to manage a different notes in the same Window. Not the answer you're looking for? Browse other questions tagged mavericks notes.app ios . Why can't I see some of my notes from my iphone on my macbook? How can I sync notes in iPhone with macbook pro and vice versa by using either bluetooth or using USB cable? Notes format from Mountain Lion (V1) to Mavericks (V2): how to migrate? Why do Notes not sync?